Listening to Steven Pressfield personify “resistance” and then go on and on about his phobias regarding creativity is exhausting. I almost feel like sending him a bill for a psychiatry session. When he goes into religious babbling, well, I lost interest. Writing, creativity and storytelling isn't an ongoing battle with some invisible monster named resistance. Creativity isn't something whispered by angels into the ears of a transcriber. If you want to write, or create art of any type, you simply do it. If you persevere, you will create art. If you continue, and you improve along the way, you may create great and enduring art. Yes, you may have personal challenges, phobias and self-doubts to work through. But hearing Pressfield go on about his personal issues will be of dubious help. 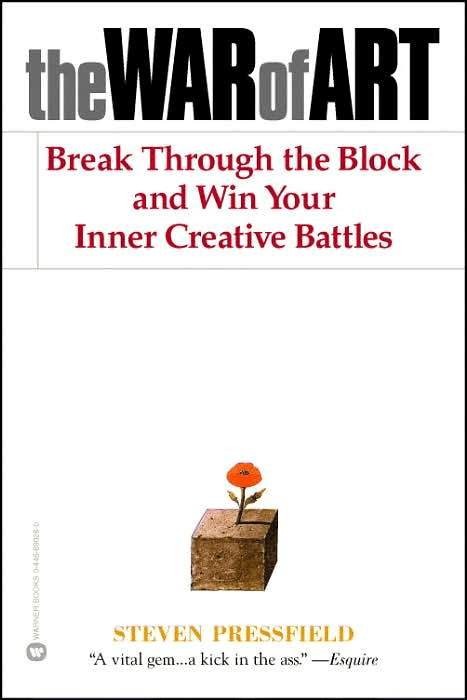 Skip this book and spend time creating something great on your own. Your time will be better spent.